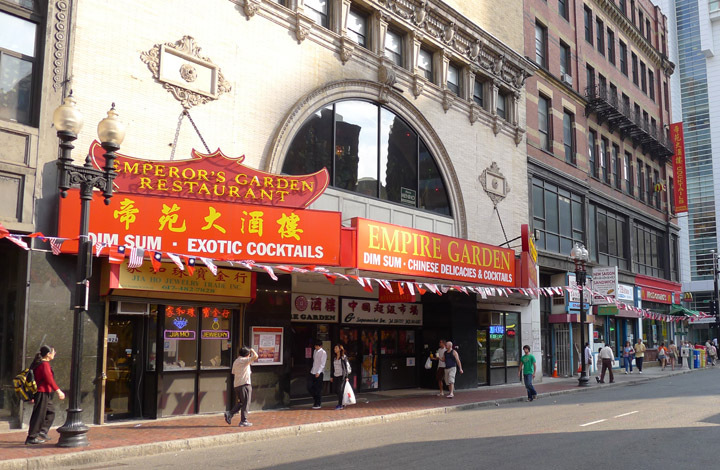 Empire Garden is located at 690 Washington St. in the downtown Chinatown neighborhood. I love dim sum and so we wandered into this restaurant by chance one Saturday. As you enter, there is a large curving staircase which leads to a second floor foyer. From there you enter a magnificent and cavernous dining room. The Empire Garden started life as a turn of the century theater and retains all the elegant character of its past. Opened Sept 14, 1903, this building was the 3rd incarnation of the Globe Theater in Boston and originally seated 1,536. 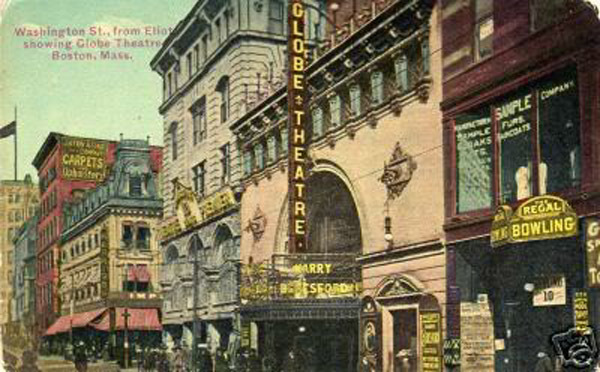 The Globe Theater was known for popular vaudeville acts, “clean” burlesque, dramas, comedies, and musical performances. Such legends as Abbott and Costello and Gypsy Rose Lee performed on this stage. In 1947, it became the Center Theater and transitioned to showing only movies. In these images from 1955 and 1973, you can see the theater changing along with the neighborhood which began slowly declining. 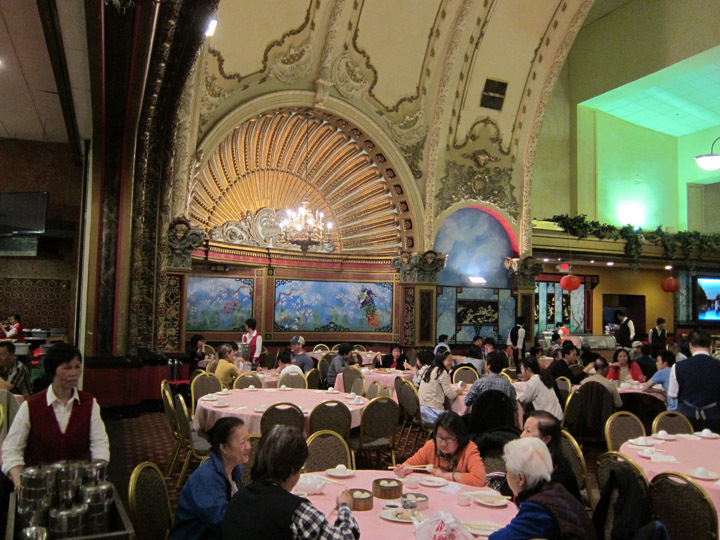 By 1995, the movie theater closed and the building was reborn as a Chinese restaurant. 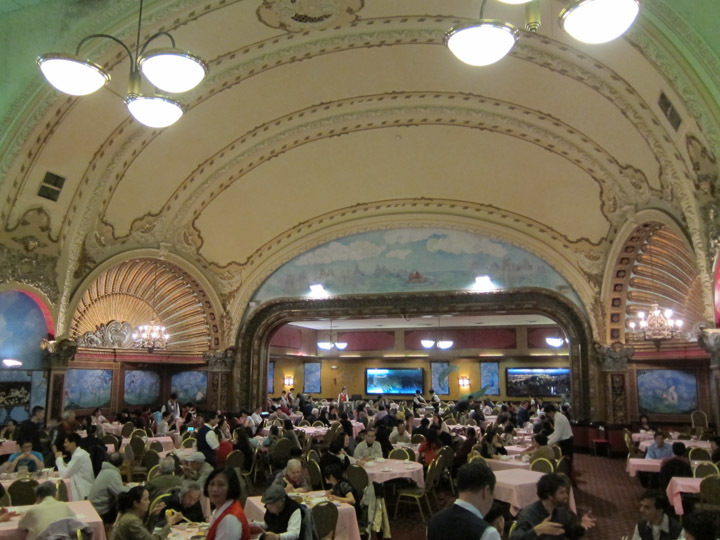 Surprisingly, you can still see a lot of the 1903 theater in the restaurant today. The dining area extends from the stage through the seating area. Albeit closed, the balcony is intact. The lovely vaulted ceiling creates a massive open space giving the dining area an almost regal feeling. The scalloped arches are a bright, shimmering gold while a muted gold has been used for some of the decorative accents on the ceiling arches. 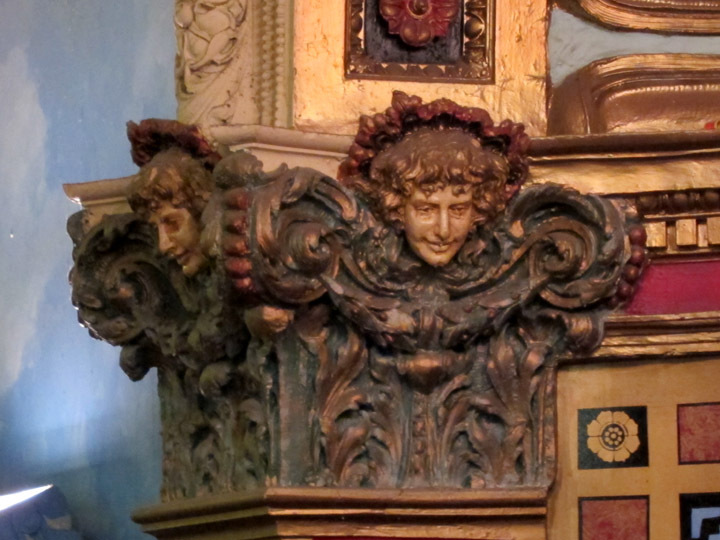 The neo-rococo capitals are garishly painted, but I can’t help but think this may have been the original color scheme. The wall panels have been decorated with clouds, cherry trees and Chinese motifs but even these seem to work with the elegant early 20th century moldings. There are few settings better for brunch than a 110 year old theater. The architectural design and decorative details are a pleasant distraction and a spectacle in themselves. 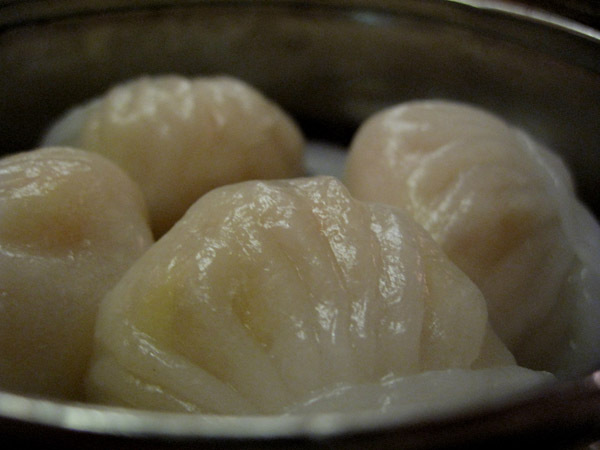 Plus, when you actually start getting hungry, the steamed dumplings are pretty good too. ← The Daydream Tourist is Moving to DC! This looks SO lovely! Totally heading to this spot next time I’m in town!